Leon Russell died this week, yet another addition to the long, sad list of musical legends who’ve moved on this year (not to mention the potential end of the world as we know it, but I won’t get into that right now). I can’t say that I’m super familiar with his oeuvre, but one song of his has been a longtime favourite of mine. I first heard this version by the Carpenters. The cheese is laid on pretty thick (there’s even a sax solo), but the beauty of the song cuts through, both in Karen Carpenter’s inimitable voice and the strength of the song itself. I saw by looking on the record that Leon Russell had written it, but I wasn’t too aware of his career. Later, my friend Matt Collins made me a mix CD that had his original version on it. I always felt that his vocal affectations were a bit over the top, but it is his song, so he can sing it however he wants, and if you don’t like it… that’s what covers are for. My favourite version is by Willie Nelson, a version I discovered some years later on a country mix from Montreal’s DJ Luv. Because it’s a song about songwriting (normally a bad idea) and the inability to capture a feeling perfectly with lyrics (“if my words don’t come together, listen to the melody, for my love is in there hiding”), it strikes a chord with me as a songwriter, aside from how I might feel as a listener. And ironically (or appropriately? ), this expression of being unable to capture the feeling is, in itself, the perfect expression of the feeling. If that makes any sense. Note: some of these thoughts are taken from a response I sent to Carl Wilson for his Crying Over Art project. I’m not sure if my words were ever used for that, so I thought it was probably OK to repurpose them here. When I saw the words “NOMEANSNO HAS SPLIT” on the group’s Facebook page a little while ago, I figured it might be one of their cryptic jokes. So I was sad to recently find out that the band has indeed called it quits. But they had a good run, to say the least. The first thing of theirs I heard was a tape my brother had come across somehow that had The Day Everything Became Nothing and Small Parts Isolated and Destroyed. I was really young, maybe as young as 12 or 13. I was still listening to stuff like the Dr. Demento show. And there was part of their thing that fit in with that somehow. Even though they were dark and intelligent, there was always a very strong sense of humour that came through. My brother and I went to see them in the early 90s in Toronto. The opening acts were Phleg Camp and The Ex! What an amazing lineup. We were very young teenagers—was it an all-ages show (at a bar), or did we somehow pass as older? Anyway, we didn’t see NoMeansNo because they played too late and we had to get home before the subway closed. I finally got to see them live in Toronto, in ’94, I think. It was the tour for Why Do They Call Me Mr. Happy? They started the show as a duo: just the Wright brothers, drums, bass and vocals. I think it was at the Opera House and I was right up front. Rob Wright seemed really intense and scary. Even back then, his hair was completely white, and his age gave him both a certain novelty value and an unmistakeable authority. More then 10 years later, I saw them again at the Sala Rossa in Montreal. 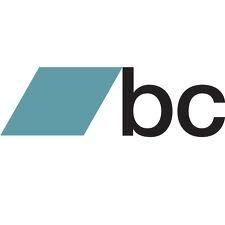 I hadn’t been keeping up with their albums and wasn’t sure what to expect. I was completely blown away. Even though Rob Wright had softened somehow, seeming more genial and less frightening, there was so much strength in his hands, and in his bellowing voice, that I found myself looking up to him as I did to my father when I was a little boy: a mixture of awe and affection with a touch of fear towards an inspiring, benevolent, but incredibly powerful presence. I saw them again a few years later at Il Motore in Montreal. They were getting on in years but still every bit as amazing. By this point, they had given up any pretense of being “cool”: Rob wore a Papa Smurf t-shirt and John wore these incredibly goofy Bermuda shorts. Of course, that just made them cooler. I had this notion it would be cool to do a NoMeansNo documentary. I even brought copies of the Gordon Thomas and Corpusse docs with me to that show and was going to bring them to the band. But when I tried to approach Rob, some doofus had buttonholed him and by the time he was done, it was clear Rob was trying to get on with his gear takedown (these guys were their own roadies well into their sixties!). Basically I chickened out. Maybe it will still happen someday, from me or someone else. 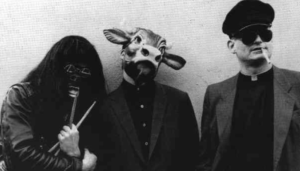 At any rate, I was reminded while listening to Damien Abraham’s podcast that in the vaults of MuchMusic, there’s a three-camera NoMeansNo show from the early-mid 80s… someone should dig that up and re-archive it before it’s too late! Anyway. I loved their total unconcern for trends, their inscrutable lyrics (“but I lied when I said that honesty was dead”), their musicality, the way they combined the seemingly incompatible worlds of prog and punk, their work ethic, and the way they stayed true to their vision right until the end. But more than anything, I still love listening to the music. RIP, NoMeansNo. You are a true inspiration. We’re doing a free show in Montreal, as part of the Festival du Nouveau Cinéma, curated by longtime friend and associate Adam Traynor. Details are to be announced soon, but I can say that it’s on Monday October 10 and that it will be a good lineup. Update: the lineup has been announced! Adam’s totally insane and awesome web series Le Ball Trap will be screening, followed by performances by the WP, Sarah Neufeld (violinist for Arcade Fire and an acclaimed solo artist in her own right) and Le Ball Trap music composer Victor Le Masne. And the whole thing is FREE! More details here. I recently joined Spotify and have been enjoying it a lot. The “Discover Weekly” playlist is a great feature; I find most online entities’ efforts to target my taste comical to the point of poignancy, but Spotify does a pretty fine job of predicting what I will like. I started compiling a playlist of my own, and plan to update it and create more of them over time. Almost the entire WP catalogue is on there too, as indeed it is on most streaming platforms, so if you too enjoy listening to music this way, check it out. Today is the fifth anniversary of the release of History of Pain. It’s an album that took us a long time to make (we worked on it for at least two years on and off, starting before the previous record Hard Feelings even came out) and one that I like a lot, though I think it’s a bit misunderstood, partly of my own doing. 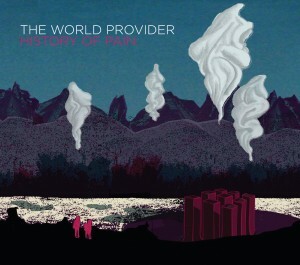 I sometimes think it’s the most underrated WP album. I’ve been thinking about putting together a “Greatest Hits” compilation for the 20th anniversary of the WP in 2019, and I thought of assembling a parallel “greatest misses” or “shoulda-been hits” collection… but when I started to mentally compile it, almost all the tunes were from History of Pain. Murray wanted to bring out the garage rock side of the WP, and as it happened, we were listening to a lot of that kind of music at the time. Not the generic three-chord garage stuff, more like a lot of classic power pop and glam rock, and more current stuff like Jay Reatard, Reigning Sound… basically we were listening to WFMU a lot. Plus, I felt like I had really taken the “rock anthems with keyboards instead of guitars” angle as far as it could go. So it seemed to make sense to put the guitars up front. Somehow, in the promotion of the album, the angle emerged that “they replaced their synths with guitars and changed from electro to garage.” This is a bit misleading; the WP was never really strictly electro, there were guitars on many of the Lost Illusions/Hard Feelings songs, and History of Pain has keyboards on every song but one. But it is a “rock record” for sure, and I think some of the people who dug the raw synth-punk of the early WP were a bit underwhelmed. Between that, the fact that our distributor went belly-up just before the album came out, and a million other little strokes from the fickle finger of fate, it felt like the record didn’t quite get the attention we thought it deserved. But whatever, I still like it. Speaking of History of Pain, to promote its release I got a bunch of talented friends to do remixes, and released them for free on this site. For your convenience, this Summer of Pain series is now available on the WP Soundcloud page. Hope you enjoy it! As far as the present and future of the WP, I’m working on some new songs and strategizing my next moves. Wherever you are, I hope to connect with you soon. 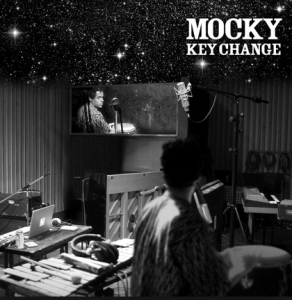 Author WPPosted on May 27, 2016 Categories newsTags chilly gonzales, Mocky, Murray LighturnLeave a comment on Always EP out now! Hey Joanne – the new WP video! Check out the newest WP video, directed by Montreal musician and visual artist Bryce Cody. Enjoy! Author WPPosted on May 24, 2016 Format VideoCategories newsTags Bryce CodyLeave a comment on Hey Joanne – the new WP video! ALWAYS – new WP EP out May 27! 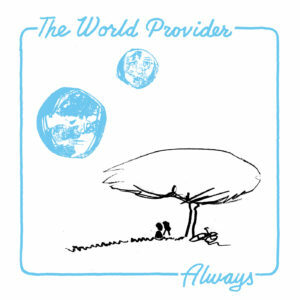 The World Provider’s Always to be released May 27! Produced by Murray Lightburn (The Dears, The Darcys), Always is a return to The World Provider’s roots in lo-fi synth-pop. 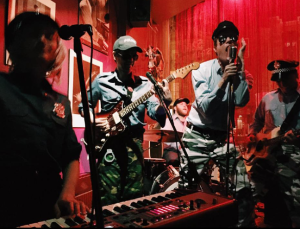 With overtones of 90’s grunge and garage rock, the songs pair the WP’s traditional budget synths with fuzzed-out guitars, dreamy melodies and restrained looseness. Features the singles “Pam Pam” (featuring Chilly Gonzales on piano) and “Autumn Wheels” (described by The Globe and Mail’s Sean Michaels as a “song you need to hear”) plus four new tracks! With an upcoming video for “Hey Joanne” and shows in Toronto, Montreal and Ottawa, the WP’s low-budget theatrical synth rock spectacular is back in action. Always is available digitally on May 27, 2016 via Ting Dun. Or come to one of our shows and pick up a T-shirt with download code, or even (if you’re really old-school) a CD. Author WPPosted on May 3, 2016 May 4, 2016 Categories newsTags chilly gonzales, Murray Lightburn, Ting DunLeave a comment on ALWAYS – new WP EP out May 27! You may recall me posting something about recording new tunes, a mere two years ago. Well, I’m finally doing something with them. I have a pretty good excuse for the long delay, but it’s time to get back on the WP horse. Details are to follow shortly, but I can say that I will soon be releasing new WP material, and doing some shows. Author WPPosted on April 29, 2016 Categories newsLeave a comment on News coming soon! Sometime in the late 90s or early 2000s, I heard the music of Gordon Thomas for the first time via my friends Mocky and Taylor Savvy. It was on a tape, that had clearly been copied a bunch of times, with a surprisingly large number of songs on it. The singer’s strange voice and simple lyrics contrasted the slick, full-band jazz arrangements; plus, the music had a weirdly timeless quality—that is to say, there were no obvious signposts to indicate in what era it had been recorded. Stacey and I were fascinated and curious to know more, but nobody seemed to have much info about this singer apart from his name, Gordon Thomas. In 2001, sitting on a patio in Berlin, we and Mocky came up with the idea of making a documentary about trying to find him. Long story short, with a bit of old-fashioned journalistic/detective work, we were able to find him in his lifelong hometown of New York City. When we met him, he was 86, still fully lucid and, to our surprise, full of optimism and future plans for his music career. 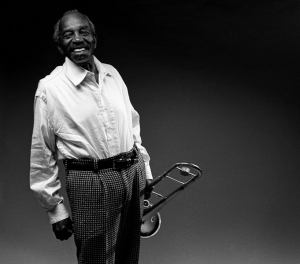 He’d played trombone in big bands in the 40s, most notably with Dizzy Gillespie, and since the big band era petered out, he’d been working odd jobs and using his meagre earnings to record and self-release his music. The film became a portrait of his life, music and philosophy. Everything’s Coming My Way was completed in 2005 and has shown at festivals, on TV and even, thanks to the diligent efforts of our sales agent, on airlines, in classrooms and in other strange markets around the world. And when the film had had its life, we continued to visit him as often as we could, and helped him out by selling his music online (you can stream or download much of his catalogue on Bandcamp; future earnings will go to an appropriate charity to be determined or in accordance with his will, as the case may be). Getting to know Gordon was a joy and a privilege. Ever optimistic and positive, wise, funny and spiritually rich, he brought happiness and inspiration to everyone he met. He was a bridge to another time—when he grew up, people still rode around Harlem on horses and buggies, and the modern world was a bit of a mystery to him, but he always rolled with it. It bothered me a bit when people referred to Gordon as “childlike.” He was a fully functioning adult, a union dues-paying musician, and a lot smarter than he let on. He was certainly eccentric, but not more so than any number of artists I’ve known. I eventually concluded that his naïve persona was a bit of a put-on, a defence mechanism against the world’s cruelties, but his optimism was very real. Gordon was always full of fantastic stories, and at times you couldn’t tell if they were real memories or just dreams or fantasies. (The one about Miles Davis having planned to write a song for him was particularly suspicious.) That said, some of the things we did with him, like seeing him perform in front of adoring fans in Montreal or going to his birthplace of Bermuda for a film festival, where he was treated like a total rock star, probably sounded like tall tales to people he told—but I can confirm they’re true! As the years went by and his health deteriorated, Gordon talked less about his future plans, but every time we spoke he’d still say that we should aim for Hollywood. The last time we hung out, in the summer of 2015, he spoke openly about wanting to die and wondering why he was still alive. With his friends mostly passed away, and his health getting worse, he didn’t feel he had a lot to live for. It was a hard conversation to have, but there wasn’t much we could say. Gordon spent the last years of his life in a seniors’ home, and the level of care he received was pretty minimal. It was a sobering reality check of what happens to you in the USA if you’re old, black, poor and alone. Luckily for him he had health insurance from the Veterans’ Administration after having briefly served in the army during WWII, as well as a pension from the musicians’ union, which along with his Social Security covered his expenses and basic needs. I wish we could have helped him more, but our resources were limited and, if I’m honest, so was the audience for his music. The very things in his songs that appealed to me turned the average listener off, while at the same time his music lacked the dark or “edgy” quality that endears certain obscure artists to an underground audience. His fan base was the definition of “small but devoted,” and spanned the entire world. Just a few weeks ago I received a CD order from Wales, not the first or the furthest such order from around the globe. Last week, I got a call from a good friend of Gordon’s. He had suffered a stroke and become unresponsive. I flew down to New York and visited him at a nursing home in the upper Bronx. He was rail-thin and couldn’t speak, but he kept trying to get out of bed, though he was too weak to complete the action. It was heartbreaking to see. “It’s OK Gordie, you don’t have to get up, just rest,” I kept saying. I’m hardly the first person to note that the very elderly, in their fragile and dependent state, revert in a circular way to being a little like babies, and here I was speaking to him in the same tone that I use to soothe my one-year-old son. Another friend of his from the seniors’ home came to visit. He had a different take on the situation, encouraging “Mr. Gordon” to get better soon so he could celebrate his 100th birthday. It was a very appropriately GT-esque expression of optimism, but I wasn’t sure I could share it. As I walked down 7th Avenue to the train station, I looked around New York with a strange feeling. Would it ever be the same without Gordon Thomas? Then I noticed the eccentric characters floating by me on every corner. Each one of them could probably star in their own documentary. A few days later, I got another call. Gordon passed away on January 25, 2016. He would have been 100 years old on February 7. He touched my life in a profound way and he’ll always stay with me. I feel sad that he’s gone, but he lived a long, meaningful life, and it was time. I love you Gordie, rest in peace. Montreal’s finest Police cover band at one of Montreal’s finest venues, Snack n’ Blues. Photo by Richmond Lam. I only did two WP shows this year (plus one with the Police cover band Stinkronicity, possibly/probably our last). I was mainly occupied with being a parent. Both were old-school solo WP shows: likely to be happening more and more, though I plan to bring Stacey and the guys back onstage when it’s logistically possible. I enjoyed doing these shows, though I now have to spend some time rethinking the solo act so that I’m not just doing the same thing I was 10-15 years ago. I’m always happy to perform my old songs and routines, but I need to add new ingredients to the broth as well. 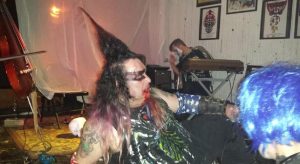 Performing with Corpusse (that’s me in the background with the silver makeup) at Casa on Halloween. Photo by Simon Lacroix. On Halloween I did a show with Corpusse at Casa del popolo. In addition to performing as the WP, I also accompanied Corpusse onstage, which was really fun. Unfortunately (and unbeknownst to me), during my show two guys got in a fight. I was honestly shocked to find out something like this would happen at Casa, which I always thought of as more or less a safe space with like-minded people. But in addition to this other, much more serious, incident, this reminded me that no place is immune to douchery. Not long after the show, I released a new song called “Autumn Wheels” on the WP Soundcloud page. It’s from the sessions I did last year, which I’m now preparing to release in some kind of “official” way in the spring of 2016. The Globe and Mail’s Sean Michaels included “Autumn Wheels” in his weekly compendium of “songs you need to hear.” I’m not sure what Sean meant when he said that I’ve written “songs that are smart as border collies and dumb as cuckoos” – that my songs are both smart and dumb? (probably true), or that I have some smart ones and some dumb ones? (also quite possible, though I couldn’t say which is which). At any rate, I appreciated his kind words, and was flattered to be included in such illustrious company. What else did I do this year? I reissued the WP’s 2008 album Hard Feelings on our Bandcamp page, adding a few previously hard-to-find tracks from the vaults. and the second installment of my chronicles of the best and worst WP shows of all time. And yes—each and every single one of these is by personal friends of mine. What can I say? I know a lot of talented people… and I have good taste. I didn’t see nearly as many movies as I used to, but I liked Sicoria, It Follows and Entertainment quite a lot. TV… mostly British crime series that I often fall asleep while watching. Books… I’ve only recently started to be able to read them again. Baby brain is a real thing. I only ever knew the Glen Campbell version of this song, which I love; the Toussaint original is quite beautiful as well. As Clara-Swan, host of one of my favourite radio shows (Free Kick on CKUT) said on Sunday, “this was a bad week.” Starting with the deaths of Allen Toussaint and Motorhead’s Phil Taylor, and ending with the awful attacks in Beirut and Paris, it’s hard to argue. But in the midst of all this tragedy, some stuff was published that you might have overlooked if you (like me) were caught up in world events. First, I would be remiss in not mentioning that our song “Autumn Wheels” was declared a “song you need to hear” by Sean Michaels in the Globe and Mail. Needless to say, I was honoured by the kind words and flattered to be held in the company of the other artists mentioned. Old friend Louise Philips‘ story “Panygere” was published on Columbia Journal. Writer (and fellow veteran of the early-2000s synth rock scene in Montreal) Adam Gollner connected the dots between two of my favourite artistic genres, 19th-century French literature and early punk, for the New Yorker blog. Finally, I was devastated earlier this year when Lee Towndrow, a longtime friend and WP collaborator, and his partner Amber Scorah lost their little son Karl. Amber wrote a powerful piece for the New York Times about the experience and the activism it inspired them to take on. Here’s wishing the best for you reading this, wherever you are. I don’t have any solutions for the state of the world right now, except to try to be good to each other.